The port city Turkmenbashi (formerly Krasnovodsk) is the only one large port in whole Central Asia, providing a link with European countries. Surrounded on the east by the crescent of low mountains, in the west it looks in the turquoise-blue waters of the Caspian Sea. The surrounding desert landscape looks more like a moon landscape. Most excursions into the mountains and the coastal resort towns begin from this dusty, and even somewhat sleepy town. 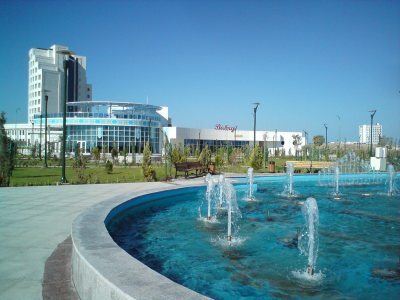 Awaza - a resort in the east of the Caspian Sea, the national tourist zone of Turkmenistan, at 12 kilometers from Turkmenbashi city. Awaza is becoming a sea resort zone. Beautiful hotels are functioning on the territory of Awaza, standards-based pensions, health complexes, child health centers, sport centers, health spas, children's health centers, sports, cultural and entertaining centers. Especially original construction of the hotel complex – skyscraper in the form of the peculiar lighthouse on the mound island will reproduce the map of Turkmenistan. A huge aqua park with a sliding dome is being planned to built. 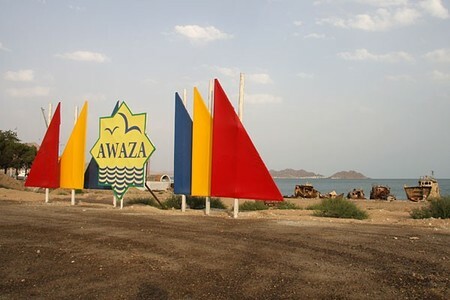 Architects are planning to finish the construction of Awaza by 2020.